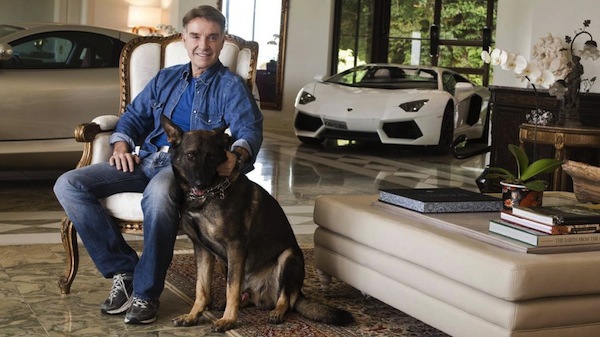 Former billionaire Eike Batista was once Brazil's richest man. I say "once" because he is said to have lost nearly everything in 2013 after his EBX conglomerate fell apart and his oil firm OGX filed for Latin America's largest bankruptcy. 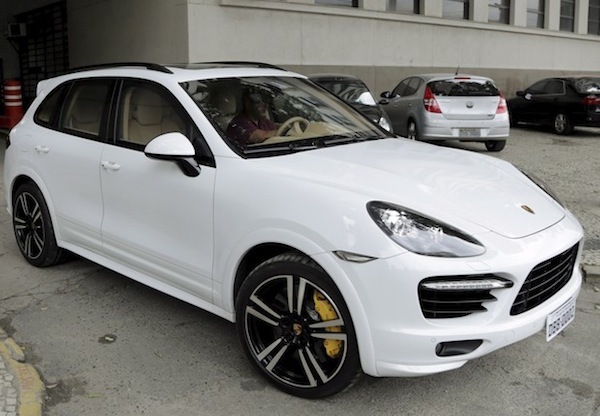 Adding insult to injury, his Porsche Cayenne Turbo S, just one of a number of luxury vehicles he owned, was confiscated by the police earlier this month under court order. The reports we read say the Porsche (and other cars) were seized under suspicion that Batista was selling assets frozen as part an ongoing insider trading case against him. Eike Batista during better days. As if going from billionaire to broke overnight isn't bad enough, news reports are saying that the judge presiding over the insider trading charges against Batista, the very same one who ordered the Porsche and other cars seized, has been spotted driving the Cayenne belonging to the former Billionaire. Flavio Roberto de Souza, the judge in question, was seen driving the Porsche SUV by reporters from the newspaper O Estado de S Paulo after receiving a tip from Batista's lawyer. When asked why he was driving the Porsche, the judge told the local newspaper: "The federal police had no safe place for the car and it was exposed to sun, rain and possible damage. I took it to a covered parking space." Really? That's all he could come up with? UPDATE: After this story went viral, the The Federal Prosecutors' Office said in a statement that judge Flavio Roberto de Souza has removed from the insider trading case against Elke Batista and all his decisions in the matter annulled. As a Brazilian, I feel very disappointed for this. Not because of Eike losing his fortune and his car seized, but the very man who was supposed to be the prime example of following the law…is actually the one braking it. Tsc tsc.